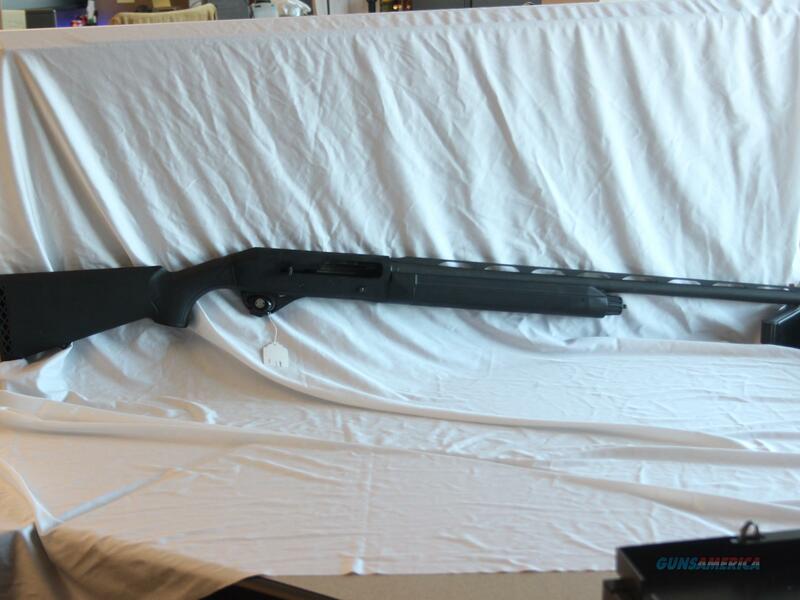 Description: USED**GREAT CONDITION**STOEGER ARMS MODEL: M3500 12 GA SEMI-AUTO SHOTGUN. Minor scuffs and marks on the barrel. The Fore-end and receiver have just minor wear and scuffs from regular use. The stock and recoil pad are in really good condition. The Stoeger is a 3 1/2" 12 gauge semi-automatic. It loads 2 3/4" to 3 1/2". It has a 26" Barrel and is 48" long and weighs about 7.65 lbs. Length of Pull (LOP) is 14.4" and is a Turkey choke. It is a Matte Black with a synthetic Stock. Please look over photos for additional information and condition. Please e-mail us with any additional questions.